Since Ramcar Group of Companies acquired Mister Donut Franchise in 1982, this popular American donut chain had grown to become one of the largest donut chains in the Philippines. 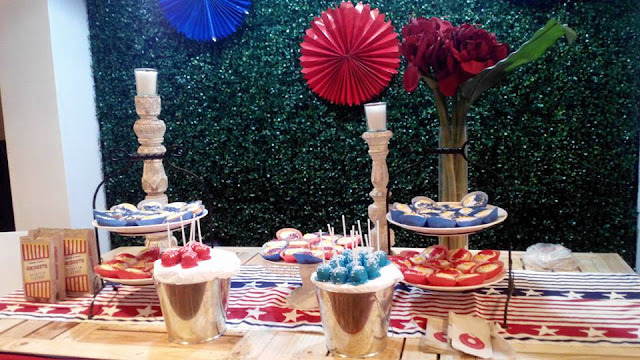 Today, it sells thousands of donut treats to locals in over 2,000 branches nationwide with innovative tie-ups with 7-Eleven, Shell Select, Petron, and other convenience stores. No doubt, Mister Donut Philippines is regarded as one of the brands with the most satisfied franchise owners. Its 34 years of continuous innovation in the Philippines has earned Mister Donut a top choice on the Franchising list. Mister Donut Philippines' franchise infrastructure has proven exceptional in bringing its delicious treats conveniently to reach its targeted consumers. And Franchisees are happy with their acceptable returns on investment that Mister Donut brand was recognized as the Best Donut Franchise in 2014. 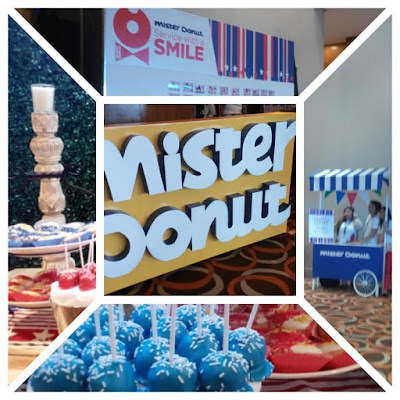 Last Friday, Mister Donut Philippines launched its Service With a Smile campaign for 2016 in a gathering of Franchisees at the Crowne Plaza Hotel in Ortigas. This “Service with a Smile” Campaign iniative seess to provide that extraordinary customer service in everyday situations. Addressing clientele’s needs plus going above and beyond customer service is the way to go. A pledge to strive for excellence is synonymous to serving your customers to the best of your abilities. When you do your job well, this puts a smile on the customer's. 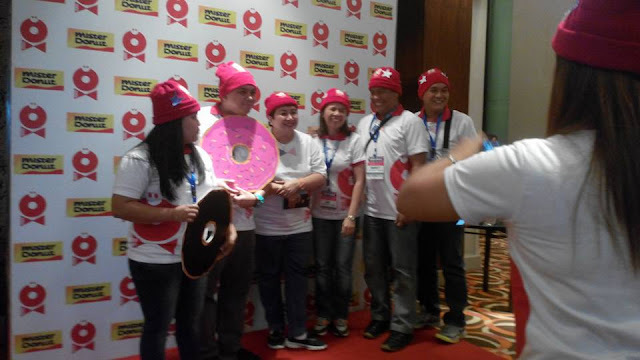 Maria Christina Rebosura (SOCKSARGEN Franchisee) and Richard Young (CARAGA Region 8 Franchisee) are satisfied franchisees who shares their optimism on the new Mister Donut Service with a Smile Campaign. 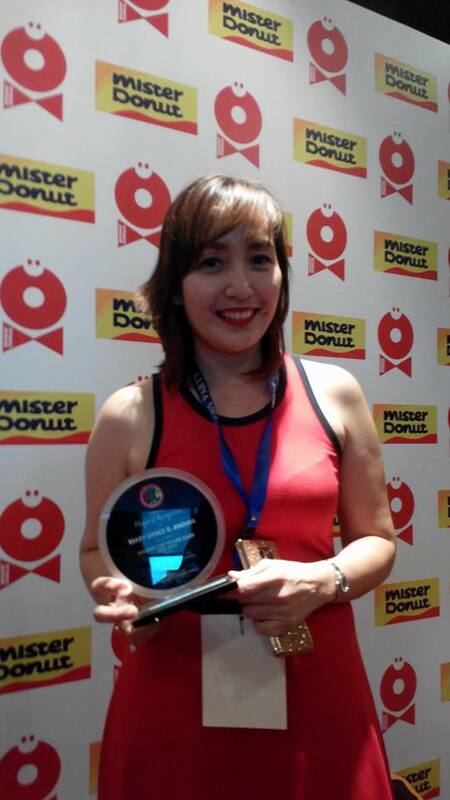 Mister Donut recognizes Customer Service as the key in its stand out business success. It continually engages in innovative business practices that help increase productivity and help improve their service as a franchisor. The said event also served a venue to recognize exemplary franchisee performances in the previous year. Miss Mary Grace Andaya (Navotas-Malabon Franchisee) received an award for being the Highest Like-to-Like Sales for 2015. Mister Donut is open for franchising. They have various franchise packages ranging from food carts (4-9 sqm), take-out shops (4-9 sqm), to Mister Donut Dine-in shops (25 sqm). You may inquire on Mister Donut Franchise by contacting (02)370-1236 / 1229. 80-82 Roces Avenue, Diliman, Q.C.